Cheaters never win, a hot vampire is single again, an Idol is getting hitched, and another baby is on the way for ‘Grey’s Anatomy’. 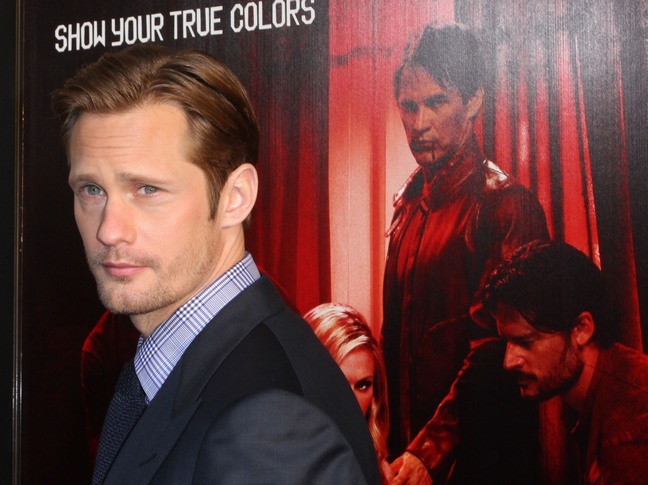 ‘True Blood’ hunk Alexander Skarsgard is a single man once again. Alexander and actress Kate Bosworth have called it quits on their relationship. The pair met and started dating while filming their upcoming movie ‘Straw Dogs’. American Idol’s winner Lee DeWyze is engaged. His rep confirmed that he popped the question to model/actress Jonna Walsh. They are planning a fall 2012 wedding. ‘Grey’s Anatomy’ star Sarah Drew, who was just promoted to series regular, and her husband Peter Lanfer are expecting their first child in January. Sarah’s co-star Eric Dane is also expecting a baby (his second) with wife Rebecca Gayheart.